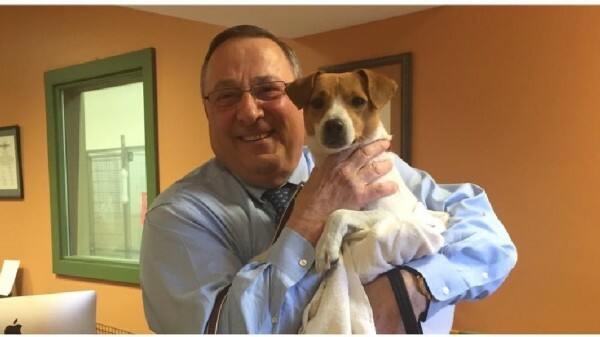 The Greater Androscoggin Humane Society posted a picture on Facebook, saying the governor adopted a new "first dog” named Veto. LEWISTON, Maine — Gov. Paul LePage is welcoming a new family member. The Greater Androscoggin Humane Society posted a picture on Facebook, saying the governor adopted a new “first dog” named Veto. This comes after the death of his Jack Russell terrier, Baxter, late last month.